My absolute favorite time to see an artist perform live is when they are between albums. They don't feel the need to play certain songs to promote the new album, and you get what they feel like playing and what the audience wants. That's exactly what Lady Lamb's solo show at Gateway City Arts was like. 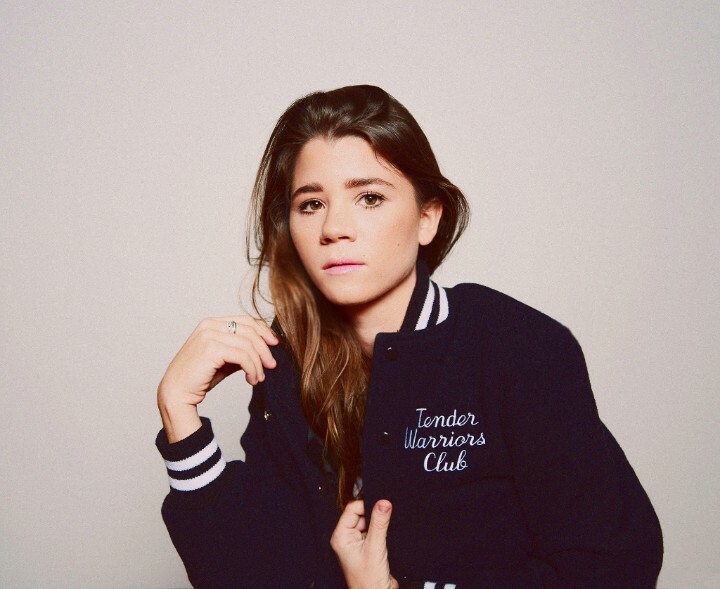 It was called a solo tour, but really it was Lady Lamb playing a few northeast shows. The main difference between this recent show and her performances for Tender Warriors Club is that those shows were acoustic and this tour was electric. Saturday night's show was a packed house, and what seemed like an insanely young crowd. I'm not sure if it was all ages or not, but it certainly felt that way. But, as young as the crowd was, they were die hard fans pumped to be there. It reflected in Lady Lamb's performance, as she played loosely and was having fun on stage, which is what you really want. She went back to her first official album, Ripely Pine, quite a bit, while playing a few songs from an upcoming album and her cover of Elvis Presley's "Can't Help Falling in Love." She also played a non-banjo version of "Regarding Ascending the Stairs," which was the first time I have seen the song performed that way. She even took a couple of audience requests for songs she wasn't completely comfortable playing solo. "Bird Balloons" was the first, which didn't suffer in the least from missing the rest of her band. She was hesitant to play "Aubergine," but more because she hasn't played it for a while. She needed to get the opening line from an audience member, and would verify the next line a few times before officially singing it. It just added to the charm and intimacy of the night. She also teased information for an upcoming album and spring tour. If the new songs she played at Gateway City Arts are any indication, this new material will be astounding.